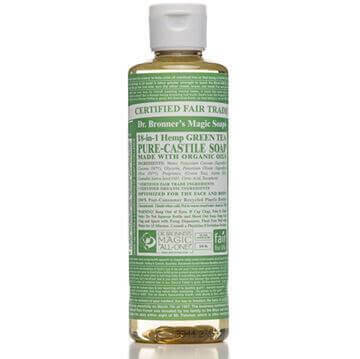 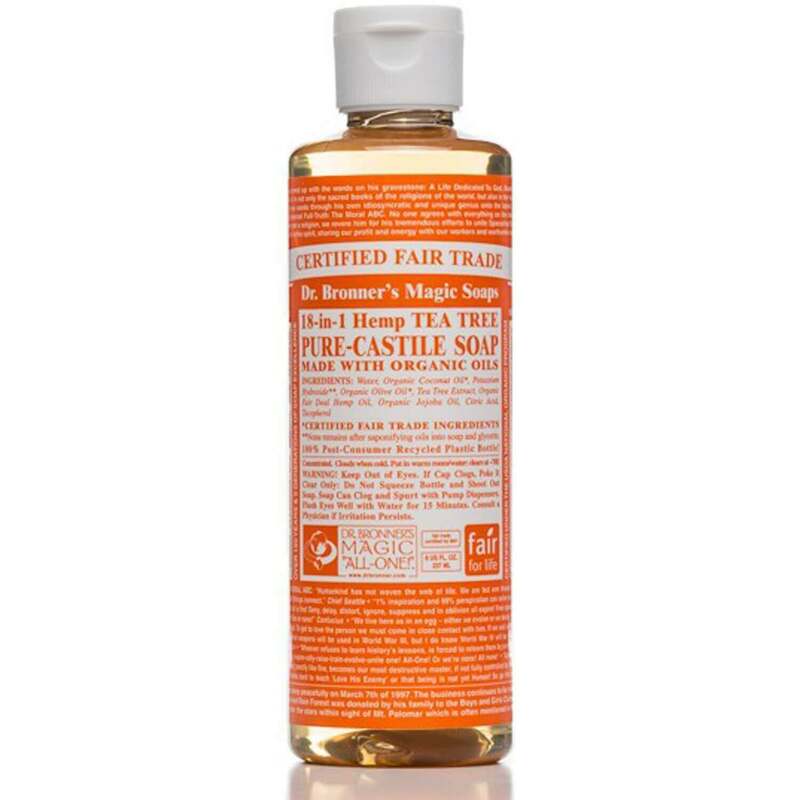 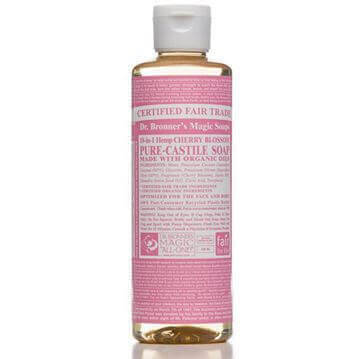 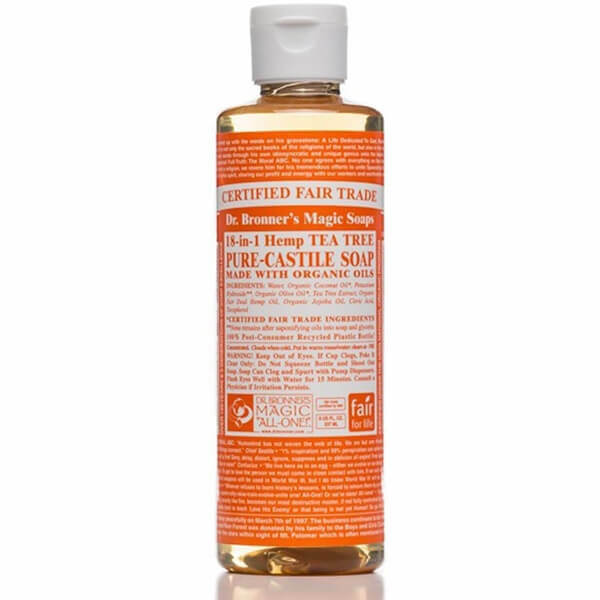 Dr Bronner's Pure-Castile Liquid Soap -Tea Tree is Woodsy and medicinal – it contains pure tea tree oil – great for acne-prone skin and dandruff! 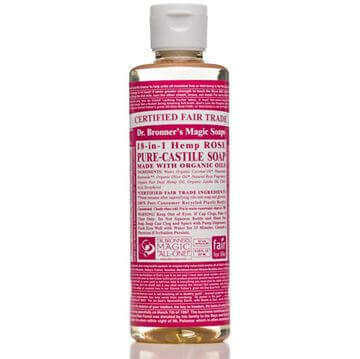 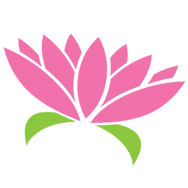 Organic coconut oil and organic hemp oil provide gentle cleansing without stripping the skin. Suitable for all skin types and can be used on the whole family.